Who follows NHL in Canada? The news that George Stroumboulopoulos will join the Hockey Night in Canada team next season made the analysts at SRG think about the characteristics of the NHL audience in Canada. 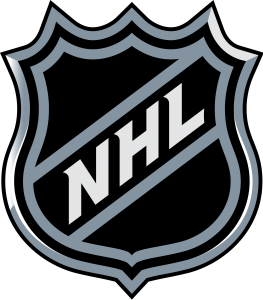 Who follows the NHL – the league and its stars and who watches it on television? We looked at our most recent data from November 2013 to find some answers. Fifty-six per cent (56%) of the Canadian population aged 12 and older follow the NHL on TV or via the web or social media. This makes NHL the most-followed professional league in Canada unsurprisingly; but the reach is not universal – 44% said they do not follow the NHL on TV or via the web or social media. Among 12+ males, 66% follow the NHL overall, but among women 12+, this drops to 47%. Perhaps unsurprisingly, women have low engagement with NHL, with only one-in-seven (14%) engaging on the web, mobile or on social media. One of the things NHL needs to focus is to reach the new Canadian audience as this is the main source of growth for Canada’s population. When we look at those born outside of Canada, we see that under half (48%) follow the NHL vs. 59% among those born in Canada. The good news is length of time in the country means a stronger affinity. The average age of an NHL follower is 42.1, about in the middle of the pack in terms of age distribution (MLB and CFL are older and MLS and NBA are younger). But those who follow the NHL exclusively on TV are now averaging 46.7 in age. Those who follow NHL on the web or via social channels are on average 10 years younger (36.1). To put it slightly differently, from an advertising perspective, about 90% of those engaging with the NHL on a smartphone or on social media for example are in the younger 12-49 demo while only 55% of those watching on TV are. Similarly, for example, the average income of those who follow the NHL on mobile is 30% higher than the TV-exclusive audience. Of course time will tell if the TV audience gets younger in response to format and host changes. The opportunity NHL has with its partner Rogers is to leverage mobile and video to increase engagement with younger demographics and as well with new fast-growing population groups. Technical: The results come from SRG’s independent Digital Life Canada syndicated study which interviews 1,000 online Canadian consumers aged 12 and older every quarter since Q4 2006. Sample design is balanced by geography, gender and age according to known population parameters. This note is based on research conducted in November 2013.